Message to the President: Don't Get Pushed Into Starting a Conflict With Putin and China as a Reaction to False Allegations That You Colluded With Russia! You Are Tough and Don't Need to Prove It! 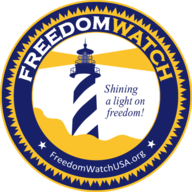 Go to www.FreedomWatchUSA.org to Sign Petition to Remove Mueller and End Phony Russian Investigation! !